It is easier to pick the worst because there are a bunch of great ones. With that in mind, this post is about the movie that I think is John Wayne’s worst. Of course, there have to be some rules. First, I must have seen the movie. After all, I have not seen all of the Duke’s films, and there must be some clunkers that I have missed (stuff like B Movies and The Conqueror). Second, John Wayne needs to make more than a cameo appearance (stuff like How the West Was Won and The Greatest Story Ever Told). Now that the rules have been established, I am going to get to the point. 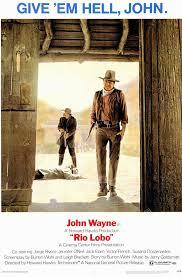 In my opinion, the worst to star John Wayne is Rio Lobo, which was released in 1970. This could be your favorite movie, and you might be asking why. Well, the reasons are as follows. 1. It is like one person wanted to make a Civil War movie and another person wanted to make a Western. Instead of making a decision, they decided to mash both together. As a historian of the American West, I know that people went westward after the Civil War. However, this movie jars the viewer with a sudden transition. In one scene, John Wayne is a cavalry officer. In the next, he is his old gunslinging self. 2. It is the third time this script is filmed, and it is the worst of the bunch. There is no way that it compares to Rio Bravo and El Dorado. The third time is not the charm when you are telling the same story. Oh yeah, the story. It goes like this. The bad guy is trying to control all of the land around the town. The bad guy, or someone related to the bad guy, gets arrested. The good guys realize that they have to barricade themselves in the jail until help arrives. One of the good guys gets captured. There is a prisoner swap, which will give the bad guy freedom to do what he wants. During the final showdown, something surprising happens to give the good guys the advantage. There is a sidekick who provides comic relief. The is also a drunk on the side of the good guys. On the side of the good guys is a young man with a cool name. In Rio Bravo and El Dorado, they are, respectively, Colorado and Mississippi. In Rio Lobo, they skip the states and go with Tuscarora. 3. The supporting cast leaves a lot to be desired. 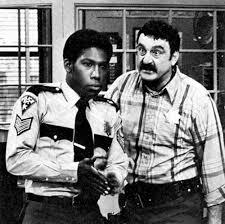 Although, I am probably being unfair in this point because the actors took later roles that hinder my judgement. 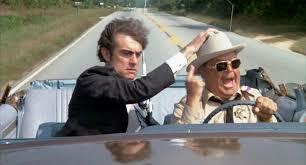 Heck, Jack Elam, who played the crazy old drunk guy, was not even a good choice. He was ten years younger than John Wayne. Luckily, this is not a movie where John Wayne, like in the first two, ends up with a girl who is too young for him. Instead of falling in love with him, they tell him that he is comfortable. However, there is an interesting story about one of the young actresses in Rio Lobo. Sherry Lansing plays Amelita, who has her face slashed by the sheriff. In the final scene, she kills him. Yep, she shot Junior. However, that is not the interesting part. In later years, she became the first woman to head a Hollywood Studio. Anyway, these are a few of the reasons why I think Rio Lobo is John Wayne’s worst movie. Now, I have a question for all of the fans of the Duke. What do you think is his worst movie? Of course, you might be such a fan that you do not think any of them are bad. The other day, I wrote about a John Wayne movie, and Andrew over at Have Bag, Will Travel had an interesting question. Of all the roles that John Wayne played, which character had the best name? With that in mind, I went in search for the answer. John Wayne is credited with over 180 roles, and that means some limitations had to be placed on the experiment. First, I kicked out the movies that I have not seen. Honestly, I did not feel qualified to determine the strength of a character’s name if I did not know the strengths of the character. Next, I threw out the times that the Duke played a real person. The purpose of this exercise was to find the best name created by some writer. Counting the given name of a real person is not that interesting or challenging. On top of that, I decided not to count the times when he played someone named John. It is a total lack of creativity to have someone play a character and use their own name. With the parameters set, the search commenced, and I was immediately met with disappointment. You would be surprised at how many times John Wayne played someone named Mike. 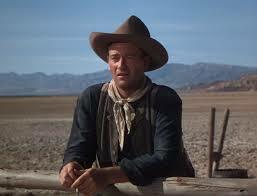 Now, I am not trying to disparage all of the Mike’s in the world, but John Wayne does not strike me as a Mike. This list has to consist of names that fit the actor. Oh yeah, there is one more thing. I stayed away from names that sound like the alter egos of superheroes. Joe January is interesting but also corny. Matt Masters is not much better. Unfortunately, I had to be consistent and not count Ethan Edwards. The following names stuck out for several reasons. They fit the actor; they sound original and unique; and they are cool. 10. Tom Doniphon is a great name for a great character in a great movie, The Man Who Shot Liberty Valance. However, it loses points for not being the best name in the movie. How can you beat a name like Liberty Valance? For that matter, Ransom Stoddard is also a better name. 9. Taw Jackson wanted to get revenge by hijacking The War Wagon. The name is unique, but I cannot get around the fact that a taw is connected to the game of marbles. I never understood the fascination with marbles. 8. Rockwell Torrey got In Harm’s Way and turned the Pacific tide in World War II. He won the battle but lost a leg. The name is good, but there is a weakness. When I hear it, the Saturday Evening Post pops into my mind. 7. Cole Thornton is one of my favorite John Wayne character names. It also comes from a script that was turned into several movies. In my mind, El Dorado was the best of the bunch. It ranks seventh because it has less syllables than some of those ranked higher. 6. Chance Buckman fought oil fires, flew airplanes and was based on a real person. Hellfighters is one of my favorite non-western John Wayne movies. The name ranks sixth because I like Chance better than Cole. 5. Cord McNally was a Union officer who ended up at Old Tucson Studios. Rio Lobo is one of those movies that were all made from the same script. It is the worst of the bunch, but the character name has four syllables. 4. Jacob McCandles was also known as Big Jake. He was rich. He was tough. He had a town named after him. Also, everyone thought he was dead. 3. Nathan Cutting Brittles ranks this high because a character that has three names should rank higher than characters that have two names. Besides, She Wore a Yellow Ribbon is one of the John Ford cavalry pictures. 2. George Washington McLintock is a historical name and provides the title for the movie, McLintock. The town is also named for this character. Heck, the name dominates the entire movie. 1. Robert Marmaduke Hightower was one of the 3 Godfathers. Honestly, how can you beat a name like that? That is a five dollar name if I ever saw one. Well, there is my list. I am sure there are other John Wayne fans who have their own ideas of what this list should look like. Let me know what you think.